During the national Kentucky Reining Cup, Laura Sumrall decided to do something different from her usual routine. At first, everyone was thinking what she was going to do, but when she removed her cape everyone was spellbound. Laura’s routine was based on the Disney’s Frozen movie. 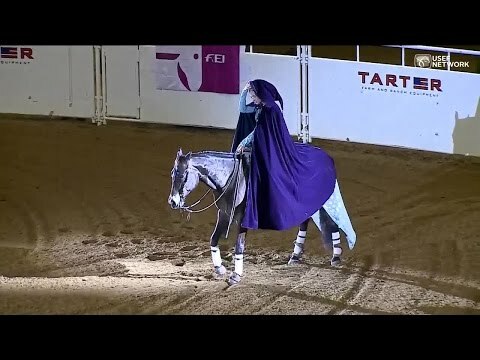 The horse galloped and performed some tricks and had the audience on the judges wanting more.